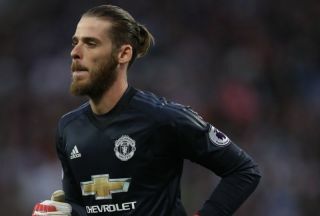 Manchester United goalkeeper David De Gea has bemoaned the team’s lack of focus in the opening stages of matches over the last couple of months. The Red Devils are languishing in 10th place after nine matches of the new Premier League season, having only managed to win four games so far. Defeats against Brighton, Tottenham and West Ham showed up just how vulnerable United are defensively these days, while draws against Wolves and Chelsea highlighted the fact Jose Mourinho’s team struggles with far too many lapses in concentration. A 1-0 defeat against Juventus in the Champions League on Tuesday only served to pile the pressure on Mourinho even further, ahead of Sunday’s crucial encounter against Everton at Old Trafford. De Gea spoke to reporters about the importance of picking up a win against the Toffees while also assessing the Red Devil’s campaign so far, highlighting their lethargic starts as the key issue behind their poor form. “I think the key lies in controlling the game, not giving our opponents any chances and being solid defensively,” The Spanish goalkeeper told Sky Sports. “We have to start when the referee’s whistle goes and all be 100per cent focused, particularly in the opening few minutes. “We have an important match on Sunday against Everton. Mourinho’s men must win to close the gap on leaders Liverpool back to nine points, but Everton are on a four-match winning run at the moment and look capable of springing a surprise in Manchester. United cannot afford any more slip-ups and De Gea’s smart words should ring true with everyone in the dressing room, including the Portuguese boss. If the Red Devils fail to win their latest game, Mourinho will no doubt face fresh calls to be sacked, meaning he cannot afford to set his stall out conservatively or tentatively on this occasion – he has to go for it.